The beds come as a complete set, with mattress, base, topper and legs. Please note that accessories, such as headboards and bedside tables, are sold separately. 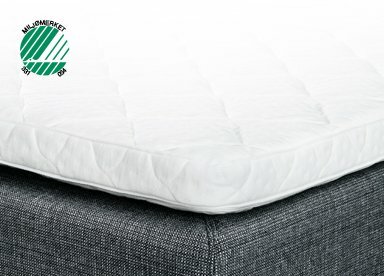 In a continental divan set you can experience Jensen sleep comfort at its very best, with Jensen Pocket on Pocket Technology. 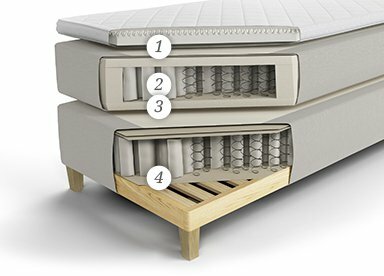 The bed features double mattresses with up to three individual Jensen Pocket spring systems. The beds have whole sleeping surfaces, without hard edges in the middle. However, the technology still allows one to choose the degree of firmness individually. 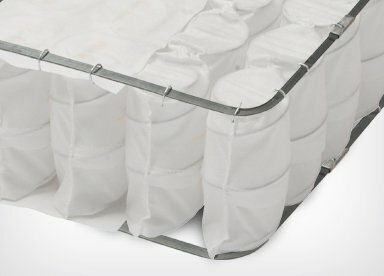 By choosing a Seamless textile solution the entire bed frame is covered. Four legs instead of the usual eight contribute to the beds’ new, elegant and unique look.